Endet der Patentschutz eines Biopharmazeutikums, können Nachahmerpräparate – die Biosimilars – auf den Markt kommen. Der Wettbewerb verschiedener Biopharmazeutika um die Verordnung im gleichen Anwendungsgebiet ist ein essenzielles Element zur Verbesserung der Versorgung von Patienten. So kann der Markteintritt von Biosimilars dem Gesundheitssystem finanzielle Freiräume eröffnen. Dreh- und Angelpunkt für die qualitätsgesicherte Anwendung von Biopharmazeutika ist aber, dass die Ärzte die Entscheidung darüber behalten, wem sie welches Medikament verordnen. As soon as the patent protection of a biopharmaceutical drug ends, follow-on products, so-called “biosimilars”, are allowed to enter the market. Competition between different biopharmaceuticals for prescriptions in the same field of application is essential to improve patient care. Hence, the market launch of biosimilars can provide the health care sector with financial breathing space. In order to ensure the quality-approved use of biopharmaceutical it is however imperative that doctors retain their freedom to decide which patients receive what drug. In order to secure investment in new medicines, new drugs initially require market exclusivity (through patents and documentary protection). To keep the innovation engine going, the regulators have, however, introduced time limits for that protection. The expiry of the protection rights gives other companies an opportunity to offer the best option in a competitive health care market while, at the same time, pushing research-based companies toward the development of further improved drugs. All of this benefits the patients and their health insurance companies. Biosimilars are copies of biopharmaceutical (i.e. genetically engineered) original medicines. They are not licensed until there is proof that, within a narrow tolerance range, they do not differ in quality, efficacy and tolerability from the original product they are based on. If that is the case, they are an option for prescriptions, above all, if they are less costly than the original. As far as the licensing of biosimilars is concerned, the EU has issued clearly defined requirements and standards that guarantee the quality, efficacy and safety of the products. Currently (October 12, 2018) 34 biosimilars from 15 substance groups are licensed in Europe as is shown in a continually updated list issued by the vfa, which can be accessed at (www.vfa-bio.de/biosimilars). 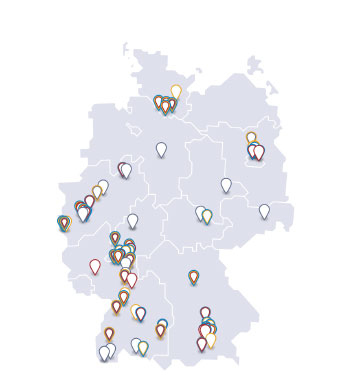 Data covering the German market shows that this view is shared by many doctors: In market segments where biosimilars exist, they are prescribed in up to 80 % of all cases (calculation based on daily dosages). Even the only Somatropin biosimilar available alongside six original drugs reaches a share of just under 20 %, And the monoclonal antibody Rituximab, which has been licensed for rheumatism and cancer therapy since April 2017, achieved a market share of almost 50 % hardly one year after its market launch. A biosimilar and the original product from which it is derived are generally equivalent. This does not, however, mean that they are identical; they are just very similar. And if, based on one original drug, several biosimilars have been developed, they too resemble each other but are not identical. There are, for example, small differences in the molecular composition of the active ingredient as well as differences with regard to auxiliaries, application aids (pens) and licensed fields of application. Hence, the decision to prescribe a new drug to patients who respond well to and feel safe with their present medicine must be weighed up carefully. This applies to any change: from biosimilars to originals, from originals to biosimilars and from one biosimilar to another. Some believe that the introduction of quotas or regional target agreements for the prescription of biosimilars (applicable to all patients with statutory health insurance or the patients insured by a specific company or living in a specific statutory insurance region) would offer a way of reducing drug expenditure. They assume that biosimilars are always less costly than the original drugs. For the patients it is essential that every prescription is first and foremost based on a medical assessment in favor or against any potential drug, be it an original or a biosimilar. Only after the doctor has weighed up the medical pros and cons should he consider the economic efficiency of his prescription. Hence, quotas or target agreements that would make a doctor, contrary to medical considerations, prescribe or change specific medicines for their patients must be rejected. As an industry association the vfa favors a situation where companies gain market share through competition based on quality and good offers rather than being allocated a set share of the market. Quotas for certain product groups have never contributed to quality-based competition in the health care sector!